Ulysses, the king loses his way home. After many days, he and his soldiers come to an unknown island. Is the island safe? Will the king reach home safe and sound? 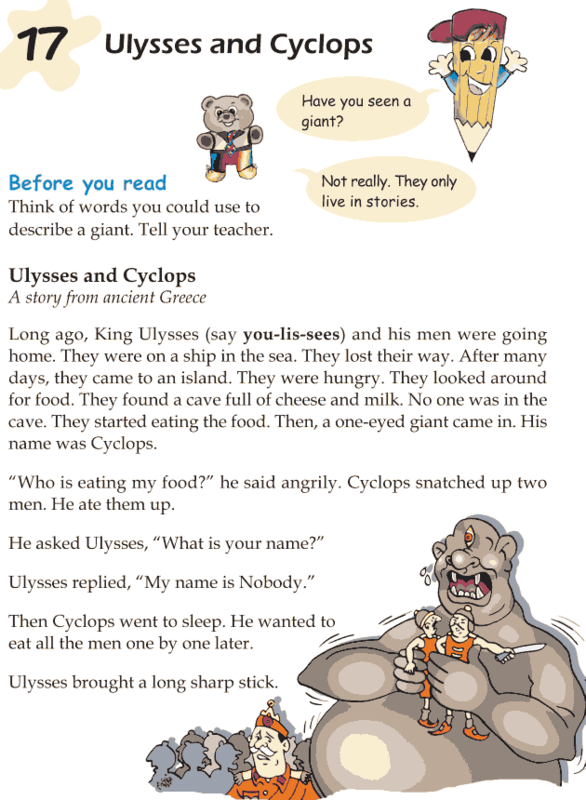 We will have to read this story ‘Ulysses and Cyclopes’ and find it out.